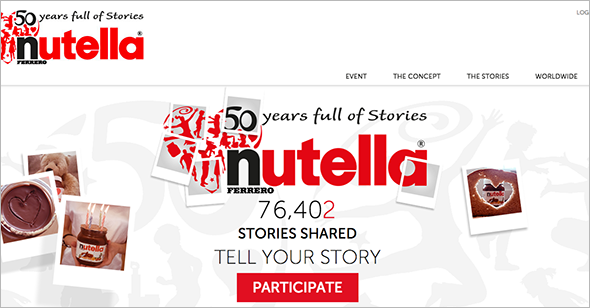 TellUsYourStory Tumblr makes fun of brands for asking for “your story” on social media. You never forget your first #FlonaseStory. You know, your favorite childhood memory involving nasal spray. Wait—are you saying brands don’t play an integral role in your personal story? That you don’t think back fondly on all the bleachable moments you’ve had over the years, thanks to Clorox, or that you don’t have a Purina Cat Chow story inside you just begging to be heard? How sad for brands, and for you. 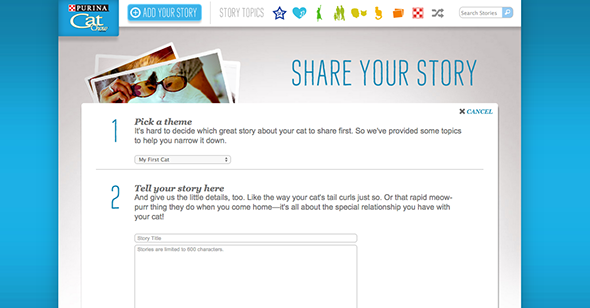 As the Tell Us Your Story Tumblr demonstrates, brands these days want to be a part of your story. They want you to write in, tweet, and engage with them, and then they want to repurpose your content into marketing that will engender further good feelings toward their products. 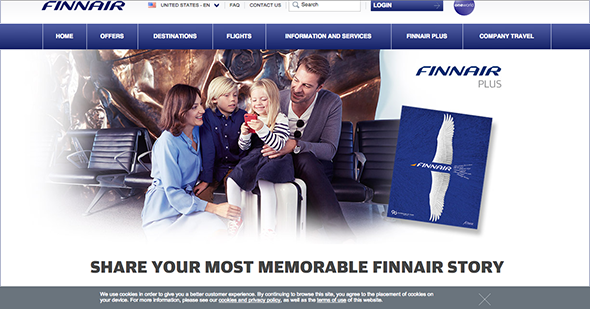 Copywriter Brian Eden started the Tumblr to collect examples of brands getting caught in the act, our favorites of which we’ve posted below. 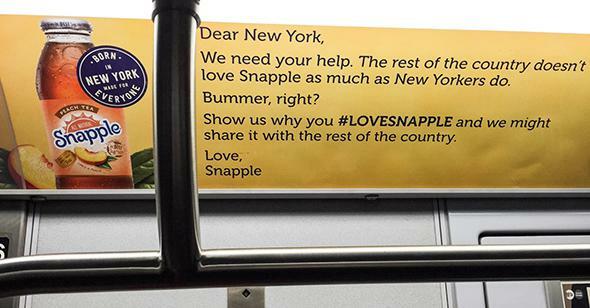 A subway ad for Snapple. 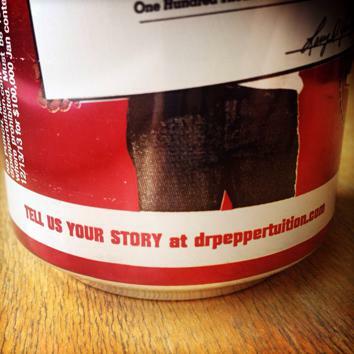 Dr. Pepper’s gotta have those stories. It’s a strategy reminiscent of the Brands Saying Bae phenomenon, wherein brands try to “#leverage #Internet #memes into #profit,” as Slate’s Katy Waldman put it; these brands have observed that we live in an era of microfame, crowdsourcing, Ikea monkeys, and Ice Bucket Challenges, and now they want to see what’s in it for them. Results, and levels of absurdity, vary. Eden’s Tumblr was originally inspired by a can of Dr. Pepper that beckoned its drinker to share his or her story. And to be fair, having strong personal preferences—and maybe even a story!—about a certain soft drink doesn’t seem totally out of the realm of possibility. But a Depends story? A Chik-Fil-A story? A GLOCK STORY? Diminishing returns. There’s also the potential pitfall of alienating consumers. 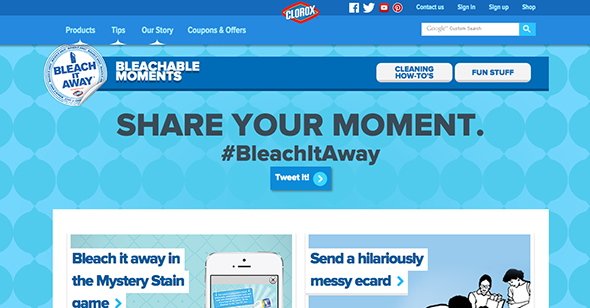 What if the very thing you appreciate about a certain brand of bleach is that it doesn’t attempt to encroach on your life or co-opt your story, but that it whitens your clothes effectively without offending your sensibilities? If you don’t want to share your story, you may just decide to change it to something new: one in which you switch brands.